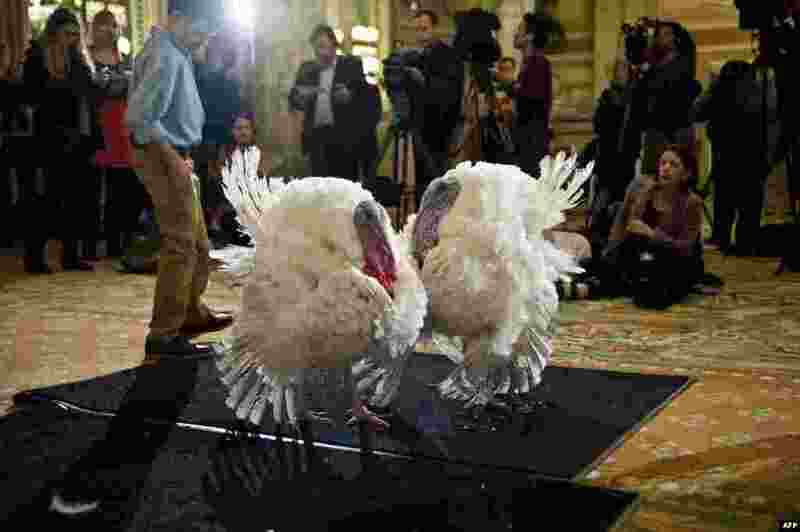 1 Two turkeys, one named Caramel and the other Popcorn, are presented to the press in Washington, DC, Nov. 26, 2013. 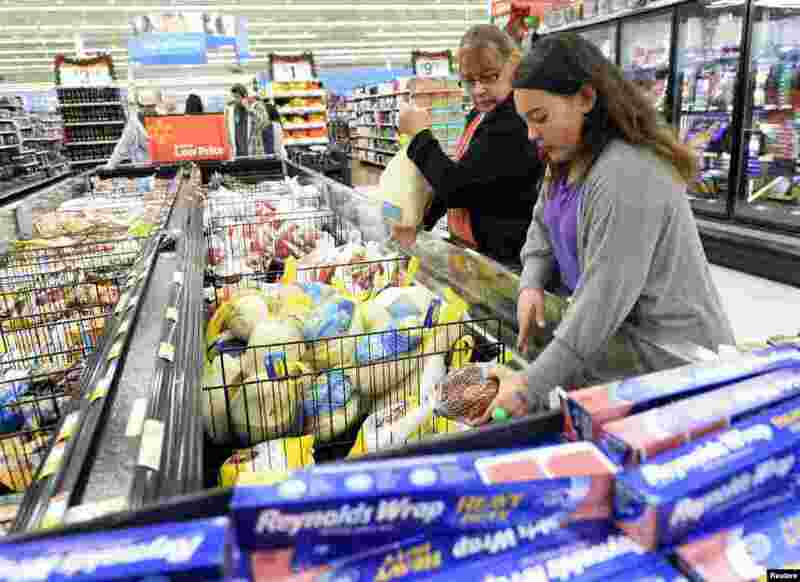 2 Tina Corpus and her daughter, Christina, shop for turkey at a Walmart store in the Porter Ranch section of Los Angeles, California, Nov. 26, 2013. 3 Chynnah Clasberry, center, prepares to board a Megabus in Chicago, Illinois for a trip to Atlanta, Georgia, Nov. 26, 2013. 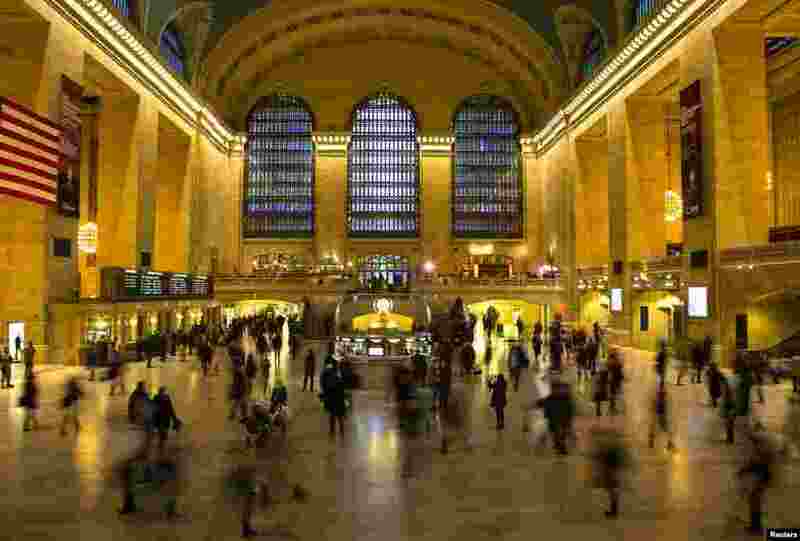 4 Travelers and commuters walk through Grand Central Station in New York City, Nov. 27, 2013. A wintry blast of heavy rain, wind and snow across the eastern U.S. could disrupt plans for millions of people traveling ahead of the Thanksgiving holiday.